Built by Industrial Shipping in Mahone Bay, Nova Scotia. This company also manufactured the Paceship, prized for its durability. This is a cat rigged daysailer I purchased to satisfy my love for catboats but I'm not sure it can be classified as a true cat since the beam is about 1/3rd the length. 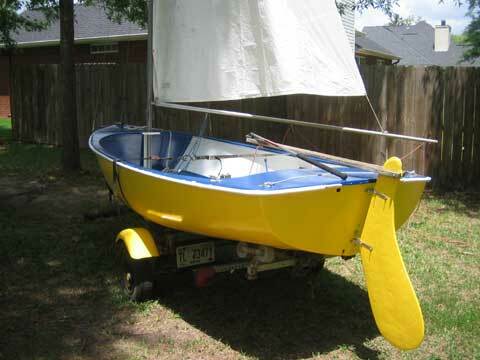 Old timers tell me this was the racing boat of that era in the Chesapeak Bay area. I have not found out much else about the boat or the manufacturer even after contacting the Maritime Museum in Mahone Bay. It is a truly unique piece of history with a fiberglass hull, (built like a tank), that I painted yellow a few years ago. Paint is still in good shape I painted the topsides blue which I think was the original color but not a perfect color match from the old days. After sanding for several weeks I got down to the original gelcoat and it was what I call surf board blue. Topside paint is cracking and chipping in some places but not an immediate concern. The boat sails like a dream and would be perfect for a lake or protected inland waters. 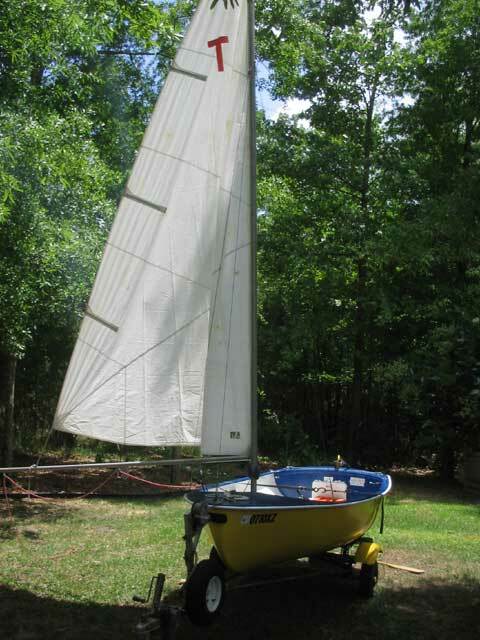 Great starter boat for a new sailor and could comfortably day-sail a family of four. 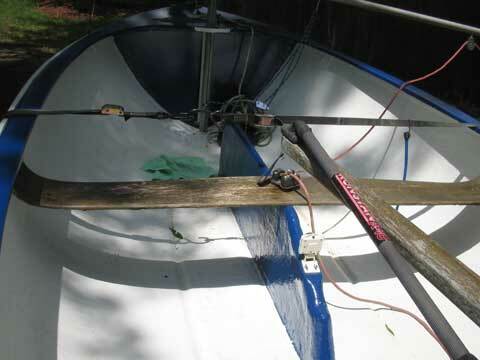 Boat has a swing keel and a three batten main that may be original but is still in decent shape. Mast and standing rigging can be installed by one person in less than half an hour which makes it a good trailer sailor too.The standing rigging is fine but the running rigging will have to be replaced this season or next. It comes with a homemade trailer that I equipped with a jack and a spare tire. Boat is located near Savannah, Georgia. I don't know how to value this boat but I have over $2,000 invested so I'm asking $1,100. Thank you and Sailing Texas for another successful boat transfer.